Here’s the slideshow of the highlights from my latest Education Video for Forward Contracts. 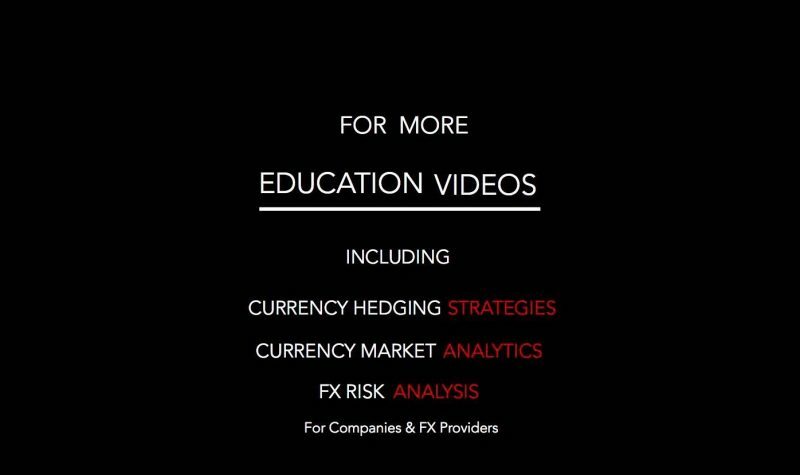 The video utilizes the dollar-cost-averaging concept and combines it with hedging currency exchange rates. 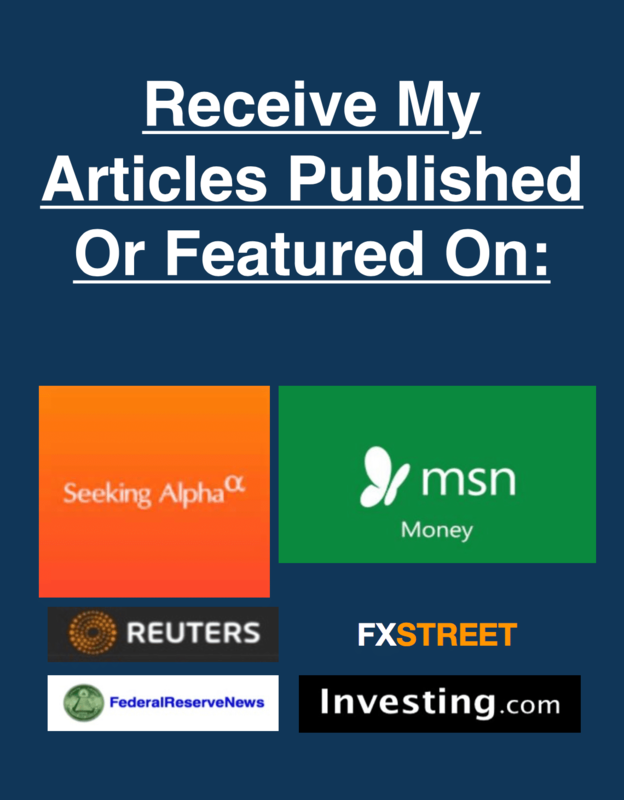 However, this can be modified to accommodate educating clients about personal finance, how the financial markets function, and investment strategies; i.e. retirement 401Ks and IRAs. To play the video, please click on the video image to the right. If you have trouble with the video, please see the slideshow below. 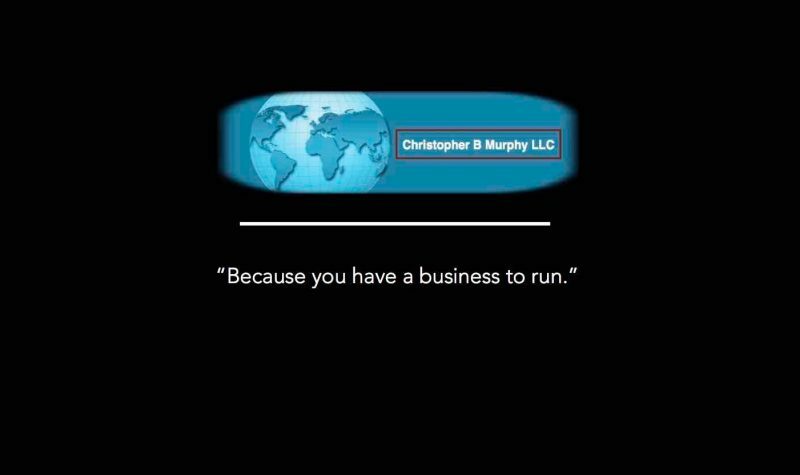 Please contact me for any questions or to discuss how we can tailor this video for your particular needs. 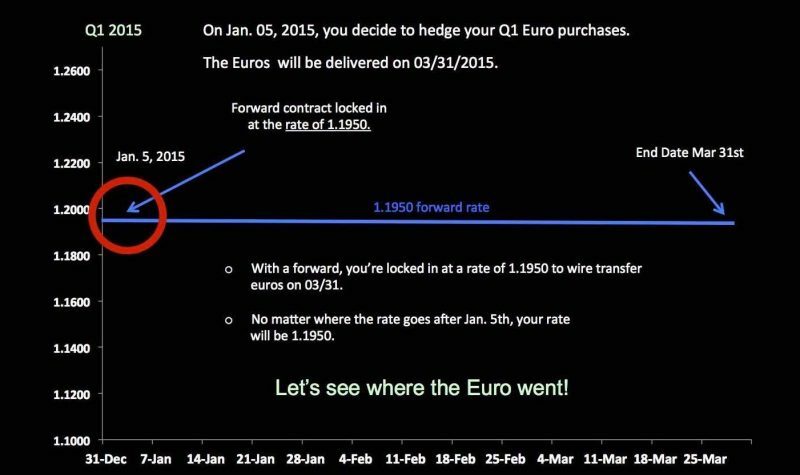 At the start of Q1 you locked into a forward contract to buy euros for an international payment. 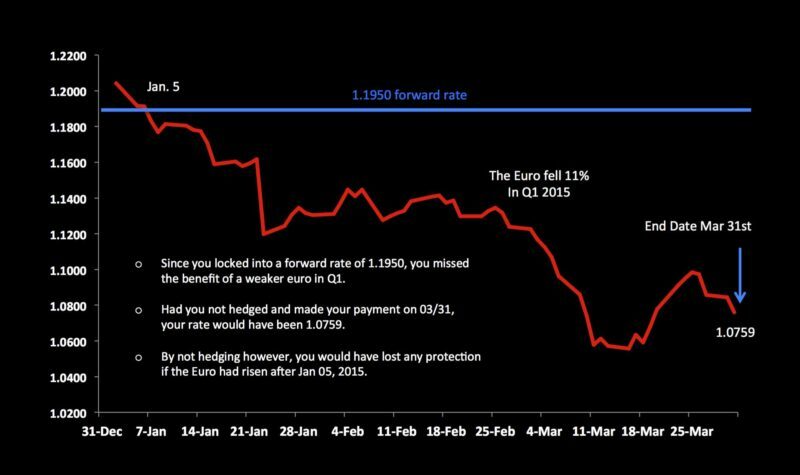 Here's where the euro rate traded by the end of Q1. 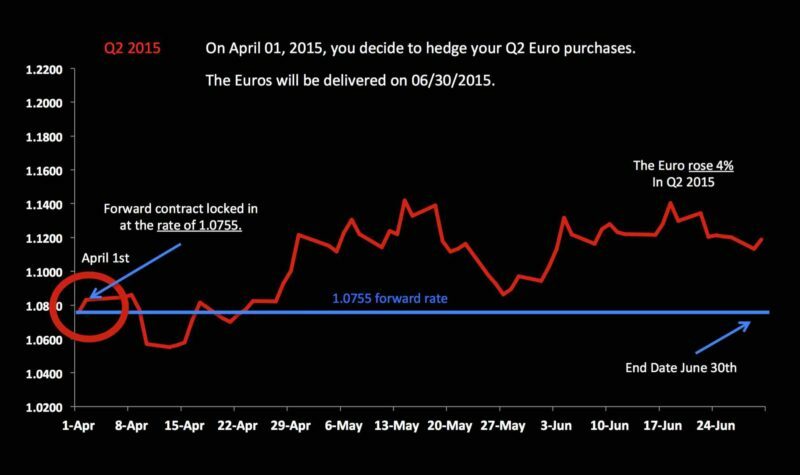 At the start of Q2, you lock into a forward contract to buy euros and the euro rose 4% by the end of Q2. 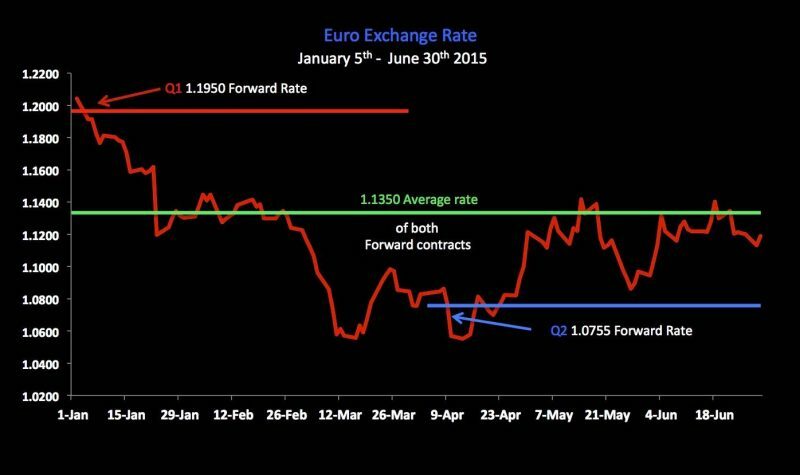 Here's both of your forward contract rates for Q1 and Q2; with the average rate of both contracts. 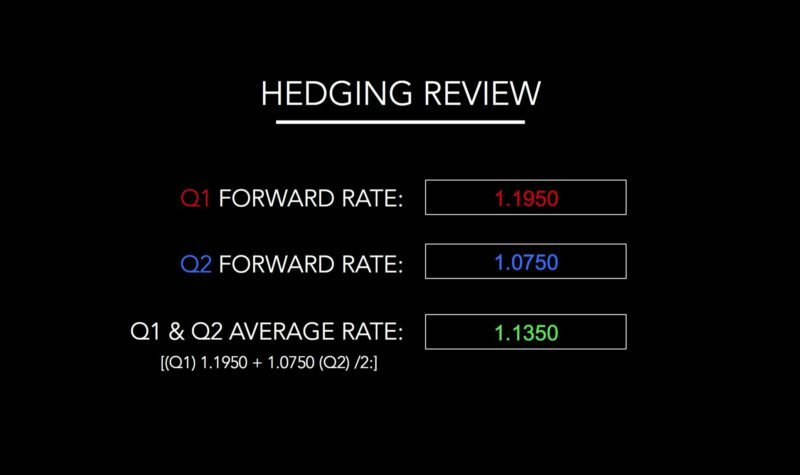 This graph displays all of your hedges and your average rate for Q1 & Q2. 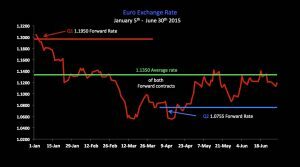 Notice your average rate is located in the center of the euro range for the 1st half of 2015, despite locking in at an expensive rate in Q1. 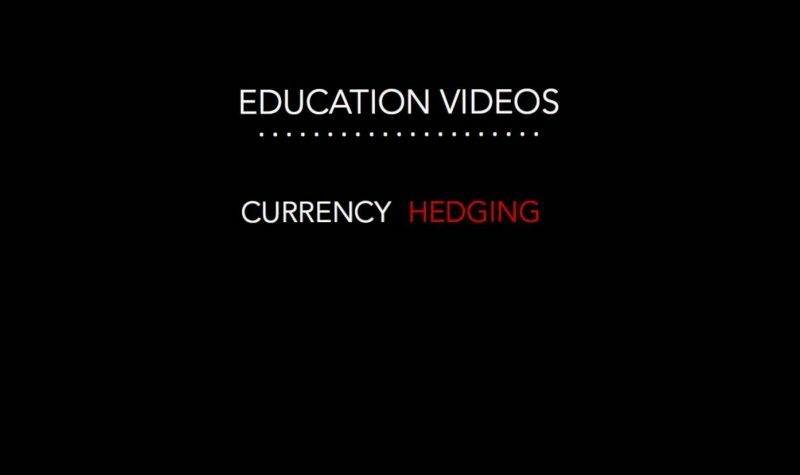 A consistent hedging policy can help dollar-cost-averge your risk down.